COACH Macky Carino sees Perpetual Help’s finish as a near win than a loss, taking pride in the Lady Altas’ hard work in NCAA Season 94. “Sino bang mag-aakalang aabot kami ng championship? Ilang porsyento na lang, magcha-champion na kami. Sino bang mag-aakala? Champion kami, sana. Next year, babawi kami,” Cariño said. 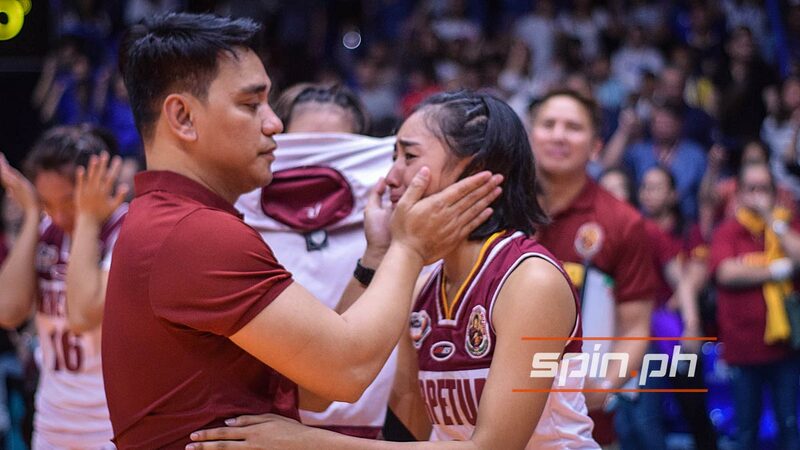 Perpetual Help could not complete the upset after taking the opener of the best-of-three series and Arellano, led by Regine Arocha and Necole Ebuen, went on to clinch its third straight NCAA women’s volleyball title. It was a fine performance, Carino noted, as the Lady Altas overcame two do-or-die matches in the eliminations, beating San Sebastian and Jose Rizal University to secure the last ticket to the semifinals. They stopped twice-to-beat College of Saint Benilde, before bowing to mighty Arellano, and Carino insisted second place is huge for the squad led by Cindy Imbo, Necelle Mae Gual, Hershey Kate Llorente, and Jowie Albert Verzosa and a big boost for the Perpetual Help program. “Alam niyo, yung pagkatalo ko ngayon, maraming nag-open ng window. Dati, kami naghahabol ng players. This time, kami na pinupuntahan,” he said. “Ang makikita niyo na Lady Altas next season, iba na. Magde-develop ako ng fighting na Lady Altas next season. Start pa lang, makikita niyong lumalaban na yung team,” he said.